In modern SEO the relationship you have with the site that links to you is just as important as the link itself. Build on that relationship and you build the presence and influence of your client’s site. 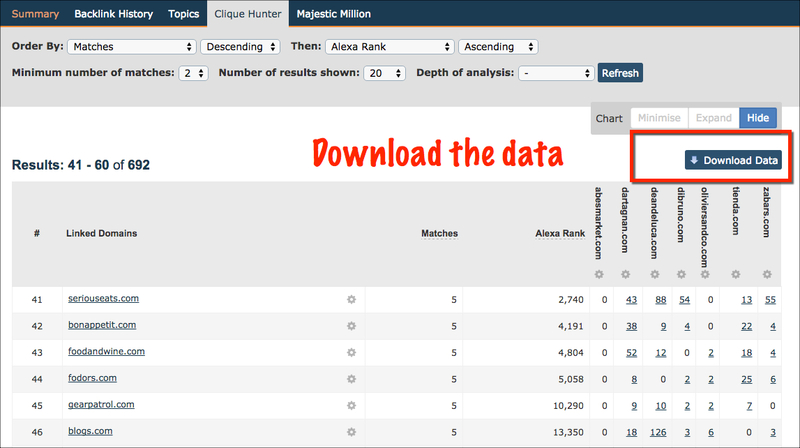 Majestic’s Clique Hunter tool not only gives you many hundreds of link prospects that link to multiple competitors, but with a little bit of effort, allows you to isolate those prospects that already link to you. So in this post I’m going to show you why that’s important and walk you through the process in more detail. The fact that a site links to you or your client shows that they’re interested in what you have to offer – they have declared their interest in you. That makes them ideal prospects for any new initiatives that you want to promote. It’s not hard to see that Zabars earned this link because the writer found ‘ricotta salata’ on sale on their site. I can see that the link is part of a story, not just a list of offers or discounts. 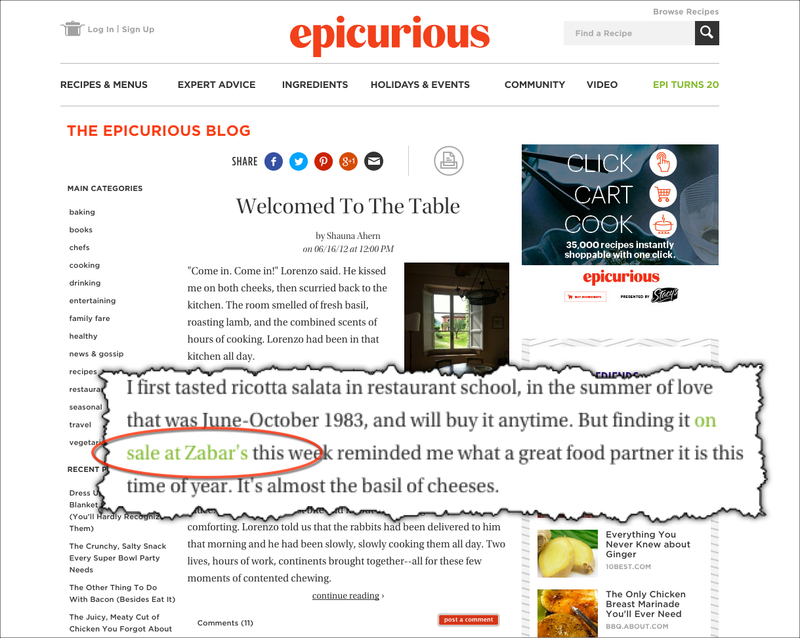 So from this link I can deduce that Epicurious.com might be interested in other discounts from Zabars – as long as the discount was accompanied by a good story. And if I can provide that, then my chances of getting further links are good. 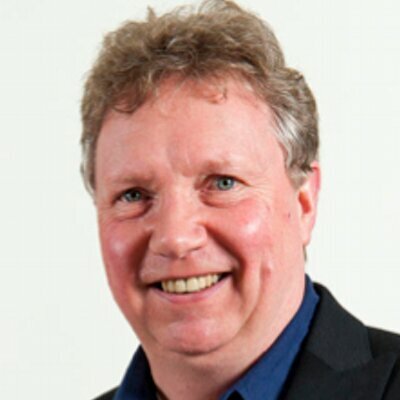 The big lesson is that understanding who links to your site at the moment – and why they did so – increases your chances of success in the future. explore some kind of joint venture or initiative. No doubt you can come up the more ideas – and if you have please share them in the comments below. You can build on the work that’s already been done by the client themselves or by the agency that went before you. I’ll use 7 gourmet food sites and I’ll treat Zabars.com as I would a client – just to illustrate. Domains – these are link prospects that I know already link to my ‘client’, Zabars. TrustFlow – the sites are organised in descending order of TrustFlow within each set of matches (6, 5, 4 and so on) so that I can see the most important within each. 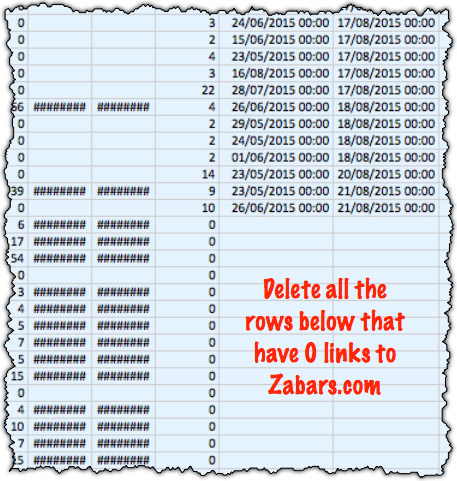 In all, I identified over 250 domains that already link to Zabars and multiple competitors. Now I’ll take you through the 7 steps involved. Keep the Clique Hunter window open because I want to come back to it later. 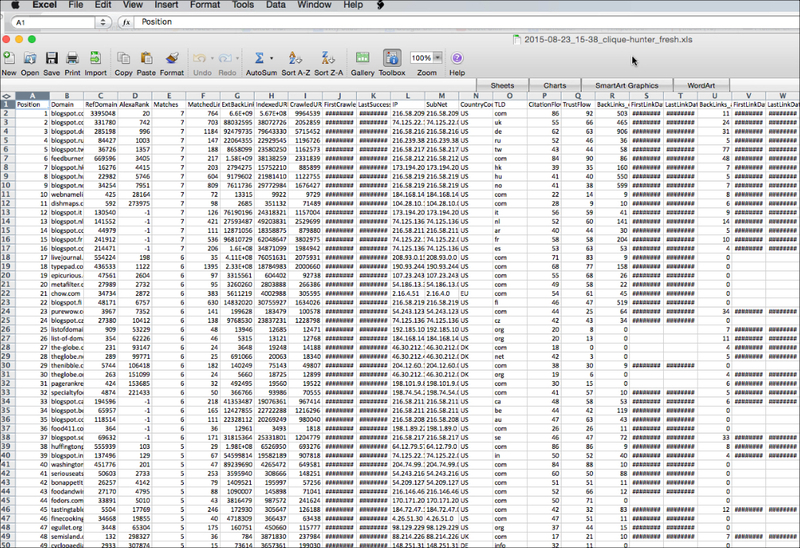 Here’s the raw data when I first open it in Excel. This looks complicated because there is so much useful data, but don’t worry – it’s easy to edit and create the clean spreadsheet I showed you earlier. Now I want to edit the data to give me the simple spreadsheet I’m after. 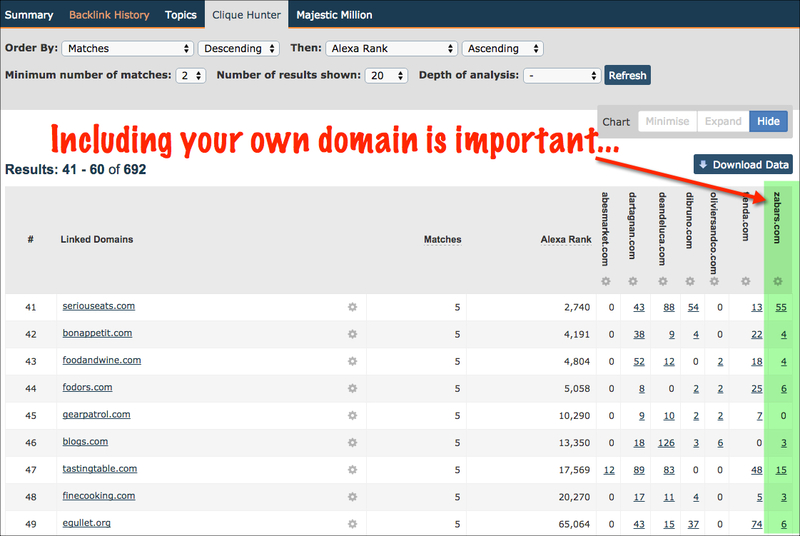 This now brings all the domains that already link to you to the top of the spreadsheet. 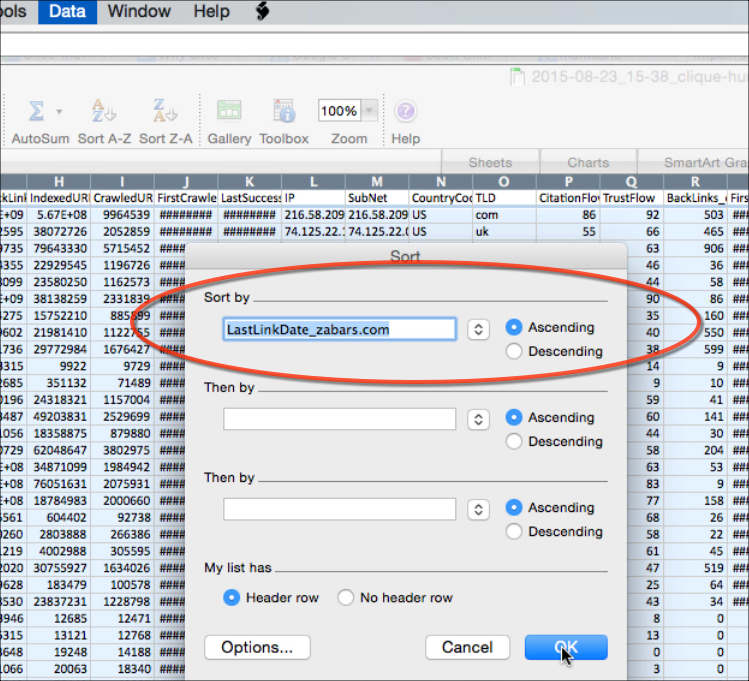 Now edit the spreadsheet to give you only 3 columns – Domains, Matches and TrustFlow. At this stage you can also edit out prospects that are obviously poor. Save your Excel spreadsheet and if you like print it out. I’ve now finished editing the spreadsheet and it’s time to go back to the live Clique Hunter screen. I can now use the spreadsheet I created in conjunction with the open Clique Hunter window to explore other reasons why links were given. 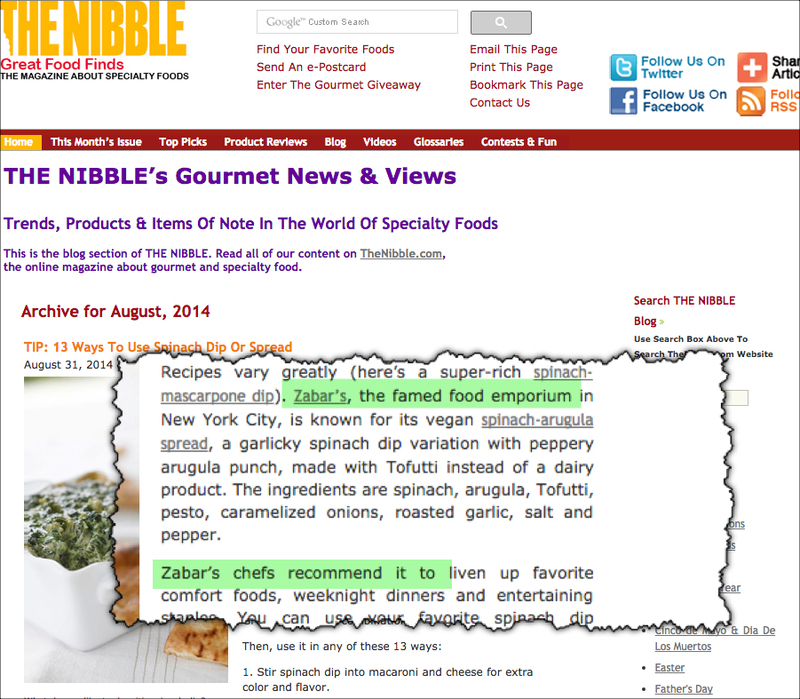 And this time I can see that the link was earned because of a Zabar chef recommended a particular vegan product. This exercise might seem a bit fiddly to some but I think it’s worthwhile because of the tremendous insights it brings. Now what about you? 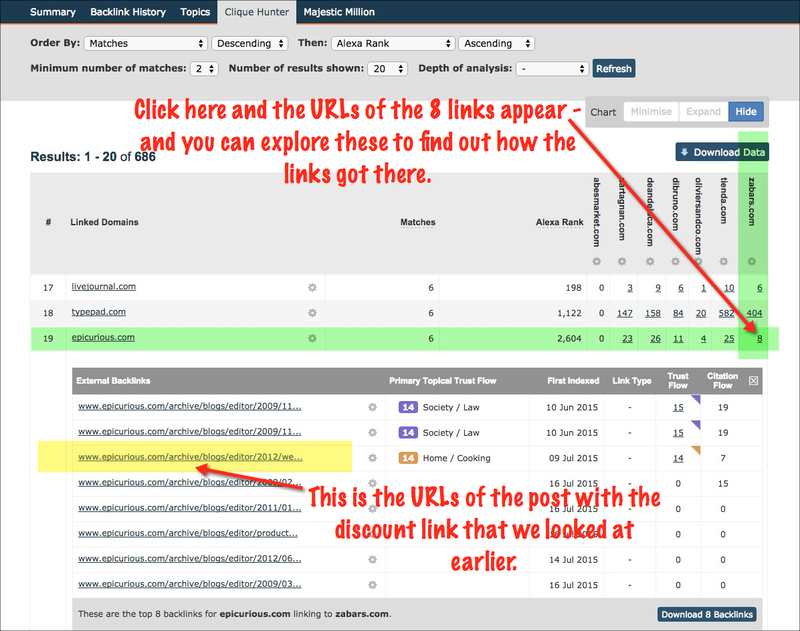 Have you been successful in getting links from sites that already link to you or your client? Do you think it’s a worthwhile strategy? Have you any examples or tips you’d like to share? If so, please share them in the comments below.